There’s a million-dollar neighborhood in development and you could claim one of the custom waterfront homes at Palm Island for your own. Corner Lot Development Group is working with three Jacksonville builders, including Glenn Layton Homes, to create a gated community off Stacey Road West on Beswick Island. The Palm Island community will consist of just 18 single-family homes on the Intracoastal Waterway. There are already only 10 lots left, as people are fascinated by the stunning possibilities in this project. The homes and lots in this new custom home community range from $1-2.5 million and include private boat docks on each property and deep-water access. A bulkhead will surround the entire island and amenities include a covered pavilion with a fire pit and entertainment area. There is also a central lagoon around which most of the homes will circle, and intracoastal, canal, and marshview lots are available. The lots are approximately a quarter acre, with homes ranging from 2,500 square feet to 4,500 square feet. Overall, the developers are looking to create a community that has a Caribbean flavor with British West Indies Colonial-style architecture, with architectural details such as spacious, breezy porches, hard tile or metal roofs, and bohemian shutters. The three Jacksonville home builders were chosen because they understand the importance of building a lifestyle as much as building a home. 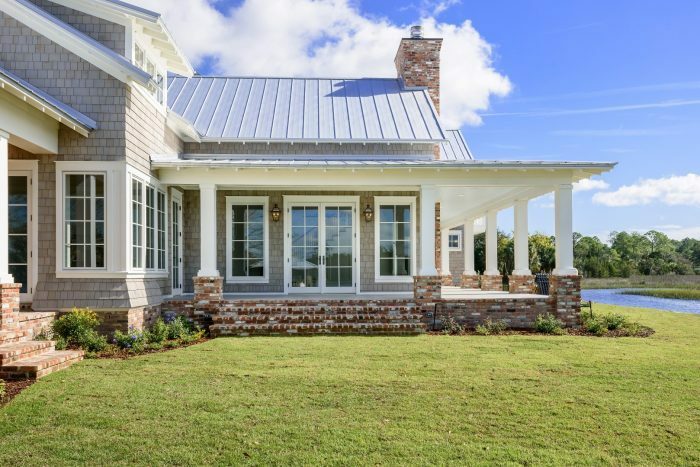 Glenn Layton Homes has more than 20 years experience building coastal homes that complement their surroundings and incorporate architectural elements that are a historical part of the region. Even more importantly, they offer owners top quality home designs that meet their personal needs and wants. They listen carefully to the buyer and work closely with them to ensure the home meets and often surpasses their dreams, inside and out. Glenn Layton Homes truly understands the concept of indoor/outdoor living that is such an essential part of coastal living. They also understand and have helped pioneer the inclusion of today’s latest technology into each home, making it more efficient and convenient for the homeowner. With this potentially being one of the last opportunities to build a custom home with a dock on the Intracoastal Waterway in the Jacksonville area, it is important to work with a home builder who will work with you every step of the way. If you’re ready to be a part of Palm Island and want one of these custom waterfront homes for yourself, contact Glenn Layton Homes today to learn more about this unique opportunity.